Of the top three awards shows on broadcast television — the Academy Awards, Grammy Awards and Golden Globes — the Academy Awards wins for having the highest ad rate, according to a new analysis by Kantar Media. Moreover, the award show generated almost as much revenue in ad sales as the other two combined in 2015. Overall, the show generated $110 million in total ads sold last year. In comparison, the Grammy Awards took in $75 million, while the Golden Globes pulled $42 million, according to Jon Swallen, chief research officer with Kantar. Compared to the other awards shows, the Oscars benefit from broad appeal of movies and the glamour of Hollywood fashion, Swallen said. "The Academy Awards are more homogeneous," he says, "and can attract and sustain higher ratings." Naturally, higher ratings mean more demand for commercial space. 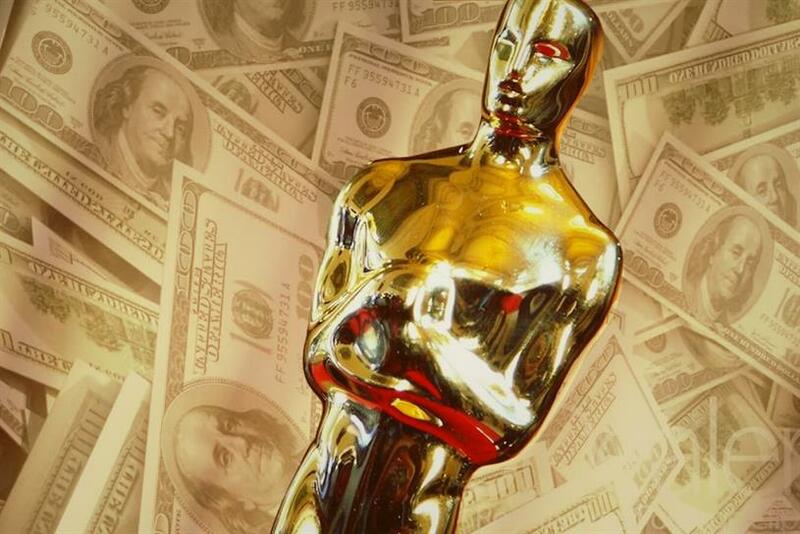 In 2015, the average price for a single 30-second slot in the Oscars’ programming exceeded $1.8 million. For the Grammy Awards, an ad cost about half as much, at an average of $942,000, whereas a TV spot in the Golden Globes went for an average of $577,000, merely a quarter of the price of a spot in the Academy Awards. An ad in the Academy Awards has always been expensive, but the price has risen steadily in recent years. Since 2009, when a slot went for $1.3 million, the price has progressively risen each year. In his report, Swallen wrote that the price is once again expected to rise this year, now to an estimated $1.9 to $2 million. Kantar also found that the amount of program space allotted to ads is growing, and has increased by 25% over the last five years. In 2015, the volume was at an all-time high, with 29 minutes and 45 seconds of the three-and-a-half hour broadcast given to paid ads. What Swallen finds surprising is that while ad price and volume is soaring, the audience is shrinking due to media fragmentation. Still, the award show tends to attract an audience of affluent viewers, 70% of which tend to be women, said Swallen. It’s a coveted audience that is increasingly hard to track down. "Affluent viewers tend to watch less commercial television," Swallen said, "so it’s a bonus for advertisers." In the past five years alone, five elite companies, including Samsung, JC Penney, Hyundai, American Express and Coca-Cola, have spent around $206 million for ads. Last year also saw a rise in first time sponsors such as Netflix and Zillow ready to capitalize on the media-savvy audience. Kantar Media also acknowledged that brands are using their airtime in the Academy Awards to carry the discussion over to social media. As part of its #SpeakBeautiful campaign last year, Dove tweeted almost one thousand responses and received 26,000 interactions, according to Unmetric. Despite — or perhaps due to — controversy over racial inequality for this year’s Oscar nominees, tens of millions of people are expected to tune in to watch Chris Rock host the 88th Academy Awards this Sunday.